Welcome to New Jersey’s Finest Camping Get-Away! 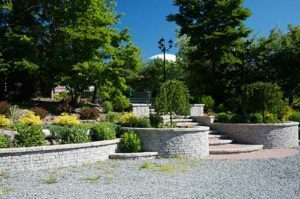 Located in Ocean County, the central seashore area of the beautiful Garden State, Cedar Creek Campground offers a perfect combination of location and amenities. The Atlantic Ocean and Barnegat Bay are all within easy reach, and every convenience imaginable is immediately at hand! Enjoy the region’s outstanding woodlands, creeks and streams within easy reach from the campground. It’s easy to see why Cedar Creek Campground offers its guests the greatest variety of activities in New Jersey. Perhaps best of all is the outstanding canoe rental and canoe livery service which operates right out of the campground. Cedar Creek Canoe and Kayak Rentals offers a variety of trips have been pre-planned for the novice through the experienced paddler. Whether a quiet, leisurely one-hour paddle, or a 3 or 4 hour adventure, beautiful Cedar Creek and the famous New Jersey Pine Barrens are sights to behold and an experience to remember. Superb … but, now more than ever, only one of the many recreational opportunities available to campers at Cedar Creek Campground! 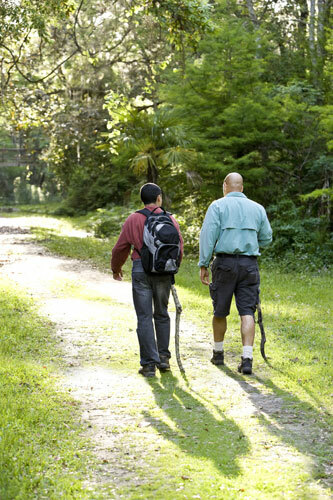 Lace up your hiking shoes or grab your bike and peddle right onto the 16-mile trail from our campground. We partnered with Ocean County and created direct access to this natural and historic Pinelands jewel. The trail bed is made from stone dust making it easy to both hike and bike. The trail occupies a 15.6-mile abandoned rail corridor in Ocean County that extends from Barnegat Township to Toms River. It was built along the abandoned Barnegat Branch Division of the Central Railroad of New Jersey, that stopped service along the line in 1977. A Truly Unique Paddling Experience for Newbies and Experienced Paddlers Alike. First, there’s the water color. It’s “tea colored” because of tannic acid from the roots of the cedars lining the river banks. A canopy of trees covers you as you paddle. Then there is the flow: You won’t see a riff of white water, but you will experience a strong, steady current, flowing through twists and turns and jug handle bends. Canoeing teams will test there skills and their relationships anticipating each twist in the river. 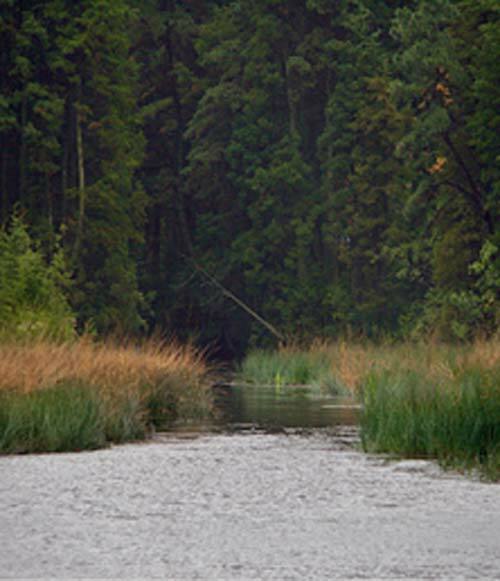 And then there is the ecological function of Cedar Creek: From its headwaters in Greenwood Forest Management Area to its mouth at Barnegat Bay, Cedar Creek provides the water required for cranberry culture and supplies a pure source of water for wildlife. Adjacent bogs and uplands provide examples of plants characteristic to the Pine Barrens. Almost 89% of the Cedar Creek drainage area is forested land. Habitats of this waterway, typical to the Pine Barrens, include Atlantic white cedar swamps, bogs (including cranberry bogs), pine and oak forests, and coastal salt marshes. Throughout this beautiful watershed, you will find wildlife and unique plant species. Cedar Creek Campground is a full-service outfitter: we rent kayaks and canoes and we transport you up stream for a day on the water. We has partnered with U.S. Coast Guard Auxiliary and all our canoes and kayaks have passed a vessel safety check. But, here’s the best part, after a good day of paddling there is no waiting for the van to arrive. You simply arrive, right back at our campground to hot showers and restrooms. You can freshen up for a night on the town or simply a relaxing ride home. 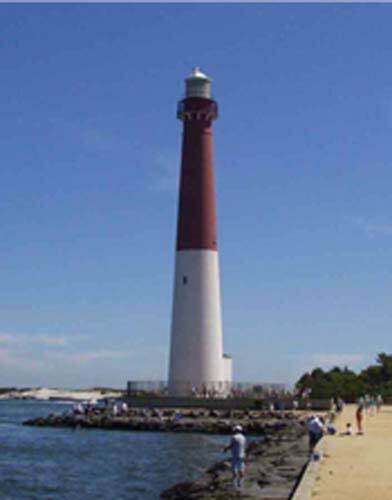 Barnegat Bay is protected by barrier islands, many estuaries fill the bay. It has been a favorite spot for boating and fishing for generations. Surf lovers will find the ocean just beyond the bay. The bay is rich in historic and cultural significance and is being actively preserved. The area surrounding the Barnegat Bay and Barnegat Bay Inlet were described by Henry Hudson, in 1609, as “…a great lake of water, as we could judge it to be … The mouth of the lake hath many shoals, and the sea breaketh on them as it is cast out of the mouth of it.” The bay was originally named in 1614 “Barendegat,” or “Inlet of the Breakers,” by Dutch settlers, referring to the waterway’s turbulent channel. 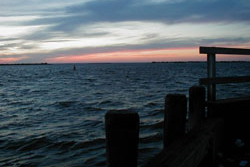 During the American Revolutionary War, the bay was used as refuge by American privateers. The song “My Eyes Adored You” by New Jersey native Frankie Valli contains a reference to “walking home everyday over Barnegat Bridge and Bay”. On March 22, 1975 the song became one of the Hot 100 number-one hits of 1975 (USA). The Trust for Public Land, a national land conservation group has done extensive work in the Barnegat Bay area for over two decades, protecting over 1,100 acres (4.5 km2) of land. 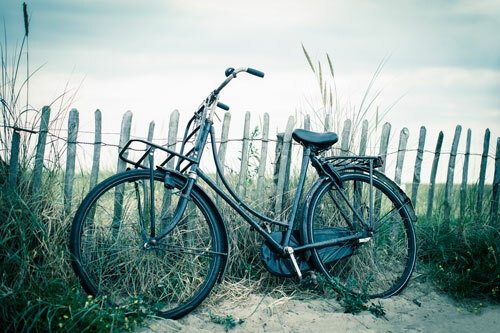 The Trust recently began the new River to Bay Greenway, the primary goal of which is to create a 70-mile (110 km) multi-use recreational route across southern New Jersey from the Delaware River to Barnegat Bay. We spend way to much of our lives stuck in traffic! At Cedar Creek Campground, we believe everything should be fun, even getting to the bay! So why drive, grab your bike and pedal over — yes the bay is that close. Our Pool is Big, Blue and Family Friendly! Our Olympic swimming pool provides families a fantastic opportunity to cool off during the hot Summer months. Our pool and double water slide are perfect for the experienced swimmer, and the SUN and FUN Swim Zone is shallow enough for inexperienced swimmers offering a comfortable area to relax while cooling off. Our pool is open to all of our camping guests. A Cedar Creek Campground Pool Membership will entitle the user to use the swimming pool facility for the summer swimming season. Each member will be provided FREE parking and access to the Cedar Creek Campground snack bar, store, bathroom, showers, and changing facilities. Cedar Creek Campground Pool Members will be provided access to the Pool Member area starting on June 22, 2019 and ending on Sept 2, 2018. The Pool Member area will be available during the Cedar Creek Campground pool hours of operation ( pool schedule will be posted every week). Occasionally, Cedar Creek Campground will restrict access to the swimming pool due to pre-arranged contractual obligations and or maintenance. Advance notice of these scheduled closures will be provided at least 7 days in advance. This notice does not include closures due to weather, major mechanical failure, safety issues or any other unforeseeable events. 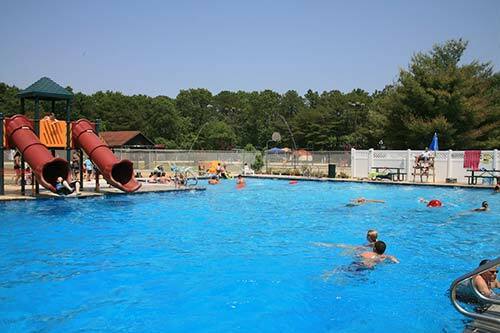 A Cedar Creek Campground Pool Membership entitles the registered member and their registered guest access to the designated Pool Member Area. This Pool membership does NOT entitle a member access to any other recreational and or camping areas located on Cedar Creek Campground property. Any member wishing to access areas other than those included with Pool Membership, must become a guest of a registered SEASONAL OR TRANSIENT camper and pay all visitor fees. We reserve the right to change, modify or cancel this membership at any time. We’ve got it! 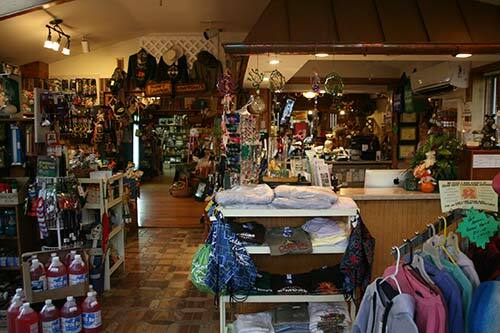 Our camp store & gift shop is stocked and ready to deliver that thingy you left on the kitchen counter or in the corner of the garage. Like we said, “It’s All Here!” — and we mean it. No need to worry, or turn the car and go back home…just keep driving straight to Cedar Creek Campground. Our camp store has got you covered. Guests are welcome to use our on-premise coin-operated laundry. Grab a Personal or Whole Pie — Then Satisfy Your Sweet Tooth! After all the activity in the great outdoors you get hungry — and sometimes you just can’t wait for dinner time! 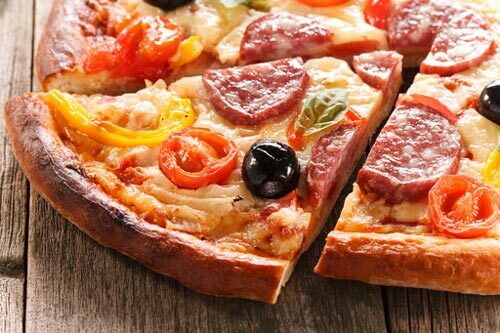 The Cedar Creek Cafe and Snack Bar offers a wide variety of food and snacks, from breakfast sandwiches to pizza and buffalo wings. And if it’s your sweet tooth calling you can stop by our full service Ice Cream Corner to help you cool off while sunning by the pool or just relaxing by the campfire. Perky’s Pizza Cafe` & Ice Cream Corner will begin serving Memorial Day Weekend thru Labor Day Weekend. And near the pool we located a larger playground, basket ball court and sand volleyball. So there is absolutely NO reason to hear “I’m bored” from your child! For When the Sky Does Not Cooperate! When the sky’s open up it’s time to head over to the Lodge our indoor social center. You’ll find a lending library, good old fashioned table games like checkers, chess and puzzles as well as a large screen TV and arcade games. Psst… we also have family bingo here! Rain or shine there is always something to do within minutes of Cedar Creek Campground here’s a quick list with some more in depth information below. Double Trouble State Park and Double Trouble Village: The village of Double Trouble dates back to colonial times, when a water-powered sawmill cut local Atlantic White Cedar for the construction and ship-building industries. During the mid-19th century, cranberry bogs were planted in the cleared cedar swamps. The village and surrounding area was purchased by the state in 1964 specifically to protect the Cedar Creek subwatershed; today the park is over 9,000 acres. Cranberries are still harvested by leaseholders each fall. The Forked River Mountains: The Forked River Mountains are the centerpiece of a vast wilderness area located in the Pinelands of Ocean County, New Jersey. The mountains, actually a pair of prominent sand and gravel hills, form a ridgeline between the Cedar Creek and Forked River watersheds. The larger of the two hills, East Mountain, rises 184 feet above sea level. The area’s extensive forests remain relatively undisturbed, as does the network of pristine Pineland streams found flowing there. Wells Mill: Located in the Greenwood Wildlife Management Area off Route 539, Zebulon Webb established a sawmill and village here in 1774. By 1840, the village was in ruins. Webbs Mill has a boardwalk and trail that will take you over a Pine Barrens bog that supports a variety of plants, including rare curly grass ferns, sundews, and pitcher plants. 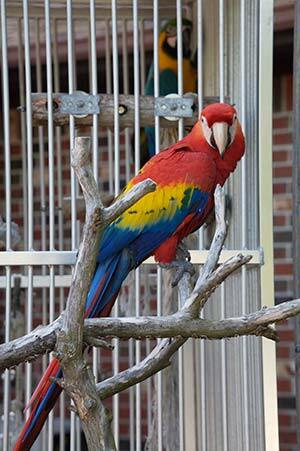 Popcorn Park Zoo: Established in 1977 by the Associated Humane Societies, wild, exotic, and farm animals and birds live out their lives here safely and peacefully. Tigers, cougars, lions, monkeys, black bears, llamas, a camel, reptiles, horses, pigs, and more call Popcorn Park their home. Berkeley Island County Park: Located on a scenic peninsula at the confluence of Cedar Creek and the Barnegat Bay, this 25-acre county park location provides possibly the best view of the bay in Ocean County. It also features a family-oriented beach, complete with warm sand and protected bay bathing. The crabbing/fishing pier at the park is one of the County’s most popular. Berkeley Island County Park is also the park location for the Ocean County Department of Parks & Recreation’s Annual Berkeley Island Beach Bash.